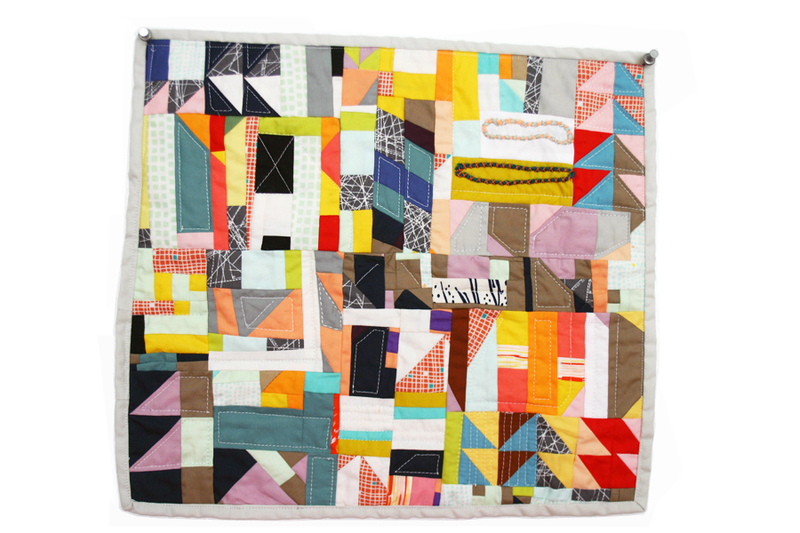 Established in 2009 by Cuban-born artist, Lorena Marañon, the maranoni label produces contemporary, one-of-a-kind home goods using techniques passed down from generations of quilt makers and textile artists. Lorena is known for her improvisational quilting and modern application of these traditional techniques. Her designs take their shape and evolve during the intuitive creation process. This method is a departure from established quilting design, and creates products that come across as deconstructed paintings, with only a thread of color, texture, and pattern connecting them. Subtle imperfections mean no two products are exactly alike. Everything is made by hand from her home studio in Los Angeles using sustainable vintage and dead-stock fabrics, each with a history of their own, and each reinvigorated with new life through every limited product made. With her label, Lorena is committed to the continued exploration, promotion, and growth of modern textile and fiber arts. Her work honors one of the foundations of quilting itself: story telling, by which each culture and time period has passed down their legacy through stories of their own. maranoni is one of those stories.